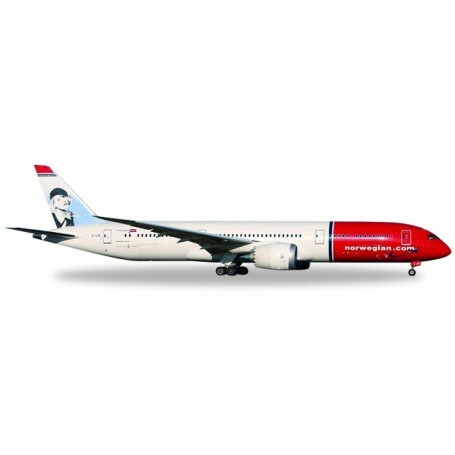 Flygplan Norwegian Boeing 787-9 Dreamliner EI-LNI Greta Garbo, modell i metall. In addition to eight 787-8s, with which the norwegian low cost carrier commenced its long haul services, four longer-fuselages 787-9s are also part of the fleet. Ei- Lni sports a portrait of the sweden-born Hollywood legend greta garbo on its stabilizer.